We care about and truly love all of our clients! Business is not about money. It is about people! We feel that ALL companies have a responsibility to offer products that are healthy and to educate! We *highly* appreciate your patronage all these years and we feel we need to give back! What a lot of people don't realize is that beauty really starts with your insides first and foremost! If you are not healthy on the inside, then no matter what you wear, you will not feel beautiful! Health and Beauty are really synonymous and you really can't have one without the other! It's also important that all of us listen to some of these "oracles of health" as we like to call them! These are the people who truly understand health because they have devoted their lives to truly helping people and their insights may help you like they have helped us! That is why we have put these videos here as they may radically change your life!!! We feel they are SO IMPORTANT that EVERYONE should take the time to listen to them! Let 2019 be the year that we ALL finally get educated and get truly healthy! G-d bless and G-d speed to optimal health and beauty! 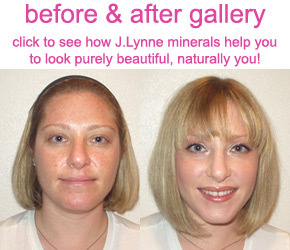 Discover the look of radiant skin and natural beauty with the complete line of pure J.Lynne mineral makeup! Our natural cosmetics are designed to give you the look of flawless skin, complimented with beautifully pure, eco-friendly colors for your face, eyes, cheeks, and lips. 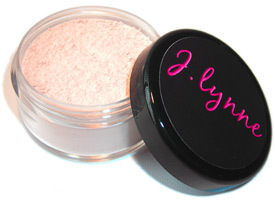 J.Lynne mineral make-up products are cruelty-free and 100% natural, making them truly ideal for every skin type! When you use our natural makeup, you will reveal and enhance your pure beauty while weightlessly covering blemishes and imperfections. The J.Lynne Mineral Cosmetics collection includes mineral foundation and mineral powder makeup, mineral blush, organic lipstick, and more! Need help finding your perfect shade of our natural looking makeup and mineral cosmetics? 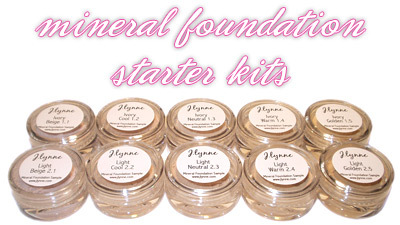 Visit the J.Lynne Foundation Guide, and discover the ideal mineral foundation shades for a flawless look! J.Lynne's mineral makeup kits take all the guesswork out of discovering your "purely beautiful, naturally you" complexion. Simply choose the kit that best corresponds to your skin tone, and you'll have a custom selection of our best-selling mineral foundations to mix, match and blend. A beautiful look begins with a flawless complexion, and our mineral foundation starter kits are offered at a substantial discount to help you get started. Click here to browse our kits!